I-Motole is an Erasmus+ project of the EU, which aims to produce a more effective educational experience for adult learners, through strategies focused on improving their intrinsic motivation. The project will specifically target adult learners who are marginalised, vulnerable, of from disadvantaged groups who are at risk of social exclusion. The project will develop training resources aimed at trainers, teachers and professionals working with Adult learners, such as migrants, Roma communities, refugees and asylum-seekers, people with disabilities, and members of deprived communities experiencing poverty and social exclusion. 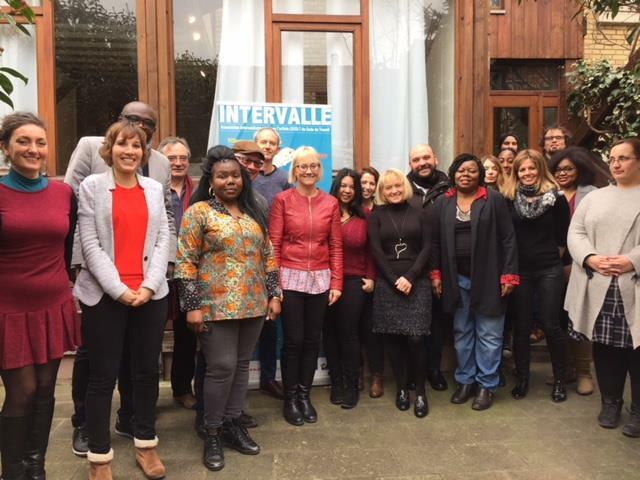 After the first meeting which took place in February in Paris, the partnership implemented the first phase of the project, which aimed to carry out a Needs Analysis & Analysis of Good Practice which included the recording of learners’ perceptions and teacher behaviour in relation to motivation. Each partner also carried out desk based research to collect and analyse good practice teaching and learning examples around motivation and statistical data around adult learning on a National level. This was completed successfully one of the key learning points for the partnership came through consultation with past learners as they were able to engage in open and honest conversation around their experience of adult education and barriers to maintaining their motivation as well as highlighting examples of good practice where Adult Educators were able to inspire and motivate them. This part of the project was led by CEPA « LOS LLANOS », Spain. In the next phase of the project, the partnership will develop the Training Package for Educators in Adult Education to Develop Intrinsic Motivation, a train the trainer course will take place between 24th 28 September, led by Inspira +, in the Former Yugoslavian Republican of Macedonia (FYROM); the training package and course will take into consideration the results of the primary research and consultation, and the current practices employed by the surveyed trainers. They will aim to complement them by adding a motivation angle which attracts learners and improves retention of learners in Adult Education. This new curricula will be designed based upon the learning potential within a traditional classroom setting, and will include video recorded lectures and collaborative learning techniques. The partners who take part in this project are ANI-International (France), Merseyside Expanding Horizons (United Kingdom), Agrupamento de Escolas número 2 de Beja (Portugal), Cepa Los Llanos Albacete (Spain), Inspira+ (Republic of Macedonia), Kulturskolan Stockholm – Stockholm School of the Arts (Sweden), CVO LBC –NVK Sint-Niklaas (Belgium).